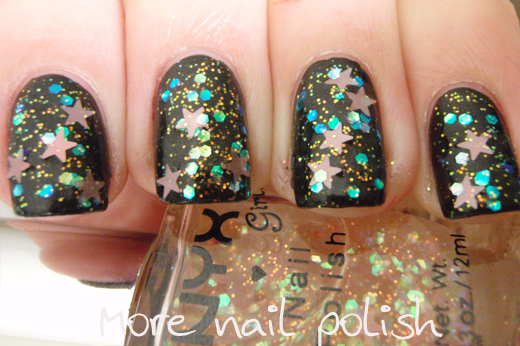 I'm still running with the 'iridescent glitter over black' theme here with another polish that has been around for a while. This is NYX Girls Dreamy Glitter. It contains small gold glitter, iridescent pink stars, and medium sized iridescent green, shifting to blue hexes. 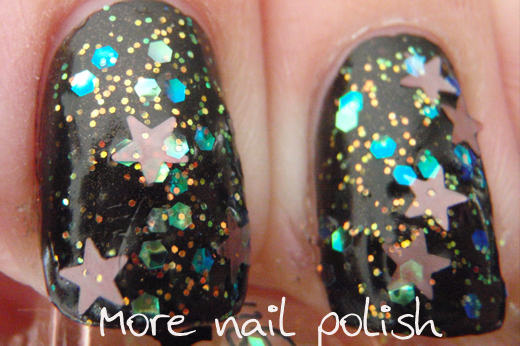 This is one coat over black, but with carefully picked up stars. I picked this beauty up at a dollar shop and totally love it. I've seen some gorgeous swatches of this polish over blue and purple, so I'm definitely going to be wearing it again soon over one of those colours. That's gorgeous! It was totally worth the work with picking the stars. I wish we had dollar shops with stuff like this. That looks great! I have a few of these (including this one)but I haven'tused them yet. Must try it! That is just adorable! What a fabulous combo! Lemming created! The final result it's amazing, but tell me, very hard to apply? It's gorgeous! The little stars really make it something special. 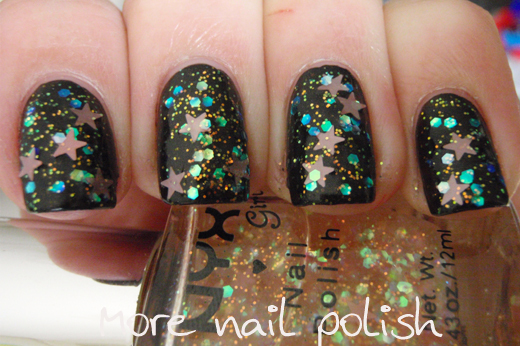 That is some awesome glitter! Tuli and CandyDoll - surprising no, it was really quite easy to apply this polish. so pretty!!! 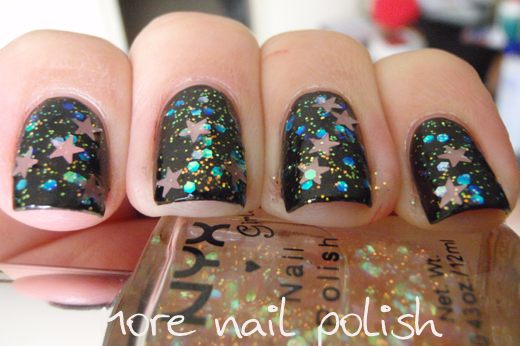 now i want this nyx polish!